Sourdough and Brioche Delivered To You. Making great handmade bread in Colombo working with natural sourdough. We don’t use additives; most of our bread is made with just flour, water and salt. We use techniques like long slow fermentation to get the best flavour and nutrition from the grain. 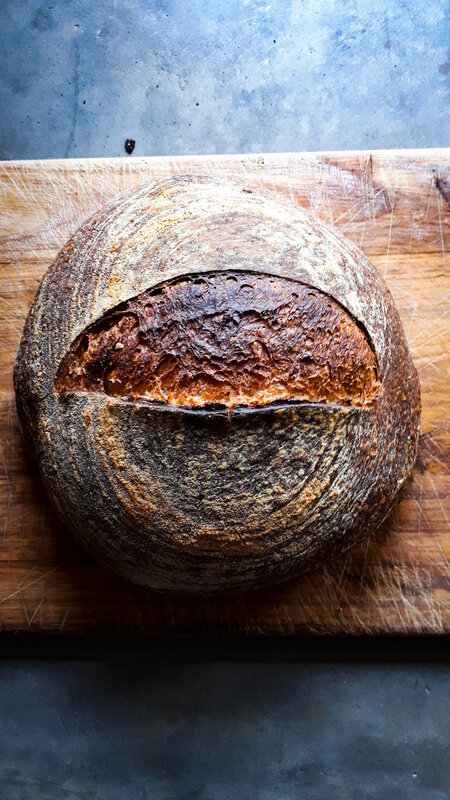 Our sourdough bread is made with naturally occurring wild yeast and beats commercial yeasted breads on taste and smell every time. We bake every Wednesday, Friday and Saturday. Order your bread and have it delivered to you within Colombo 2-7 or collect it from one of our Collection Points. Sign up below and we will send you an email with each week's bakes for you to order from. Thank you for signing up to receive our weekly bakes email. We send out our email every Wednesday.. Please check your SPAM folder or your ‘Promotions’ Tab as there’s a good chance the first few emails will go there. You can change that by opening the email from breadlkbaker@gmail.com and click on the tab: ‘Add BREAD.lk to Contacts List’.